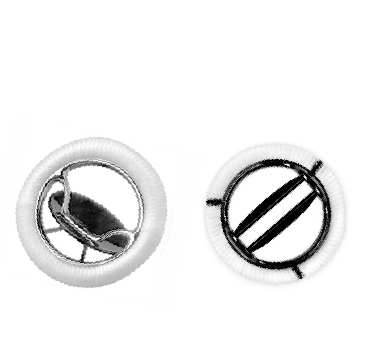 Current mechanical valves are made with very strong materials and are designed to last a lifetime. However, they elicit blood coagulation response, which can result in the formation of blood clots that may break free and travel to the brain, heart or lungs, causing complications, including stroke. Due to this inherent risk, patients who receive a traditional mechanical valve must take anticoagulant medication that reduces the risk of blood clots formation, every day for the rest of their lives. Unfortunately, this preventive therapy requires very strict and constraining monitoring and exposes patients to disastrous bleeding accidents. Tissue valves are made with animal tissue like porcine, bovine or equine, which undergo several chemical procedures in order to make them suitable for implantation in the human heart. They do not need anticoagulation therapy but are prone to premature structural deterioration. Their lifetimes may vary from patient to patient but typically last 10–15 years in adult patients13, and even lower in children and young adults13, 21, 47 and in the mitral position39. Therefore, tissue valves carry an inherent risk of reoperation. 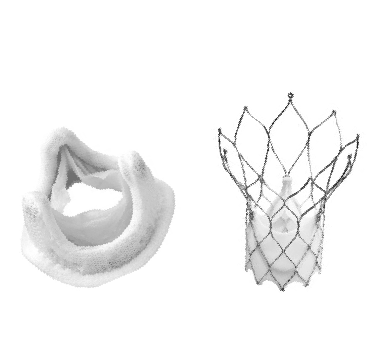 Moreover, before complete prosthetic failure is identified and re-replacement is recommended, patients may be exposed during months or years to a significant malfunction of their tissue valve, which could induce adverse cumulative hemodynamic effects12.